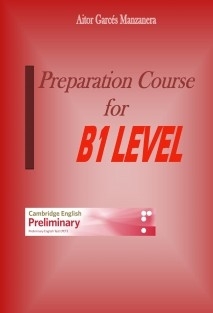 Preparation Course for B1 Level is aimed at giving an essential preparation for Cambridge Preliminary English Test, following the indications for the B1 Level given in the Common European Framework of Reference for Languages. It touches every language skill (with the exception of listening). IMPORTANT NOTE: If you notice a grammatical mistake, do not doubt to contact with me so that it can be corrected for the next edition.